Hello, welcome to Tamagotchi Club, my Tamagotchi website that I originally created way back in 2006. Now a whole, 11 years later I'm still online writing blogs and information. A lot have changes have taken place here over the years but I'm proud to present to you Tamagotchi Club in its latest form. So many of the original Tamagotchi sites that I used to love have now closed sadly. But don't worry, I don't plan to close this site any time soon. I promise to provide you with the latest information I find. 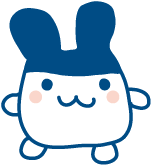 Tamagotchi Club was created by me in 2006 as Mimitchi Dance. I started to receive a lot of views and messages from people enjoying my Tamagotchi logs. Since then, we have undergone a huge formatting change and re branded to our current and final name of Tamagotchi Club. I would like to thank each and every member of the community for allowing their information and character charts that have been created over the years to be published on this website. We now feature a brand new Portal including all the latest Tamagotchi releases for you to learn about, also featuring the new Tamagotchi 4U. A new Blog has been created, and several mini games have also been added into the Village. The original and classic Logs are still featured, and the Tamagotchi Videos are also still provided for you to watch the Tamagotchi Anime and also to watch reviews on the hundreds of Bandai virtual pets.